We are rarely able to give a refund of a chargeback fee as most chargebacks are lost. For eChecks and Manual ACH, there is no appeal process so the fee is always charged. Bank payments that fail are returned for a variety of reasons; account number being incorrect, insufficient funds, and stop payment being the most common. Once a bank payment fails there is no appeal process. For credit card chargebacks it may be possible to appeal and overturn the chargeback. Chargebacks (also known as disputes) occur when a payor initiates a claim against their order with their bank or credit card company. The merchant must send information to the card issuing bank showing that the chargeback was not justified. If the appeal is ruled in your favor, we will refund the transaction amount that you lost during the dispute process (excluding any chargeback fees charged to PayStand). Product Description: A description of the product or service which was sold. Refund Refusal Explanation: A justification for why the customer is not entitled to a refund. Shipping Documentation showing the shipping date & carrier for physical products: Documentation showing proof that a product was shipped to the customer at the same address the customer provided to you. This could include a copy of the shipment receipt, shipping label, etc, and should show the full shipping address of the customer, if possible. Service documentation: Documentation showing proof that a service was provided to the customer. This could include a copy of a signed contract, work order, or other form of written agreement showing the service date. Customer Communications: Any communication with the customer that you feel is relevant to your case (for example emails proving that they received the product or service, or demonstrating their use of or satisfaction with the product or service). Additional Evidence: Any additional evidence or statements. If you take no action or the dispute is lost, the full amount of the order plus the $35 dispute fee will be levied against your PayStand account’s available balance. 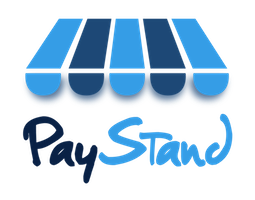 If there are not enough available funds in your PayStand account, we reserve the right to assess these fees against your bank account.